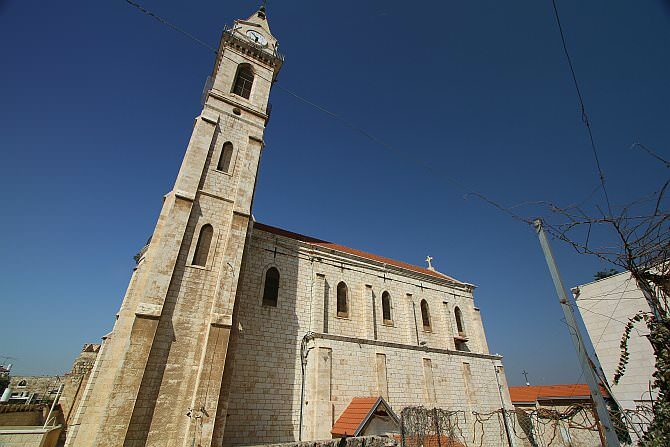 Many Christians believe that Ramla is the town where Joseph of Arimathea lived who, together with Nicodemus, took Jesus off the cross. At the end of the 13th century, a number of monks came to the Holy Land, representatives of the Vatican, in order to guard the assets and sites holy to Christianity. For this purpose, they established the “Custodia di Terra Santa” – the “Guardianship of the Holy Land”. The Franciscan “Terra Santa” organization bought land and in 1396, erected a monastery on the site. 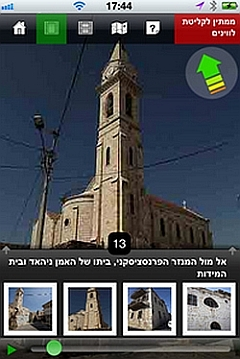 In addition, it served pilgrims on their way from Jaffa to Jerusalem. 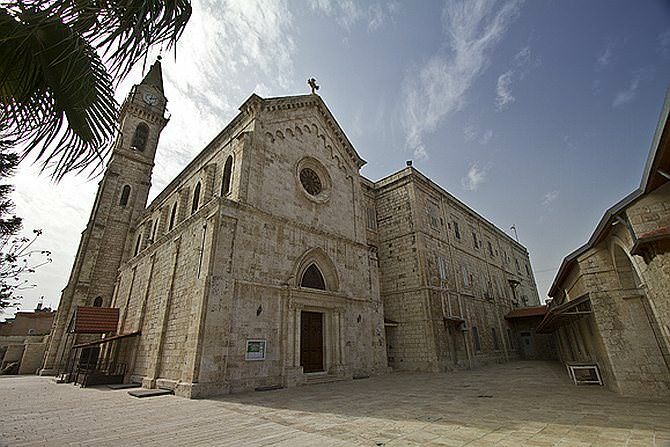 In the second half of the 19th century, the construction of the church at the center of the monastery started, with the help of donations from the Spanish church. In 1902, the building was completed. The compound also includes the “Terra Santa School” which belongs to a countrywide network. 1. A symbol showing two pairs of hands; one pair is covered by the sleeves of a robe (St. Francis), and the second pair is bare (Jesus). 2. 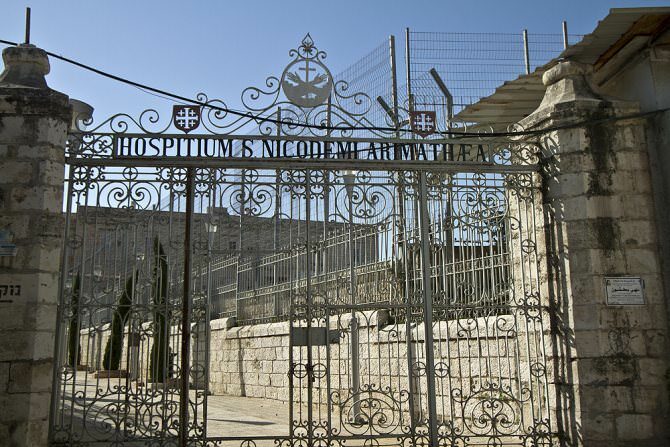 A sign composed of a cross at its center, surrounded by four smaller crosses, called the Jerusalem Cross, a symbol of the Crusader Kingdom of Jerusalem in the 12th century. It is told that in the adjacent hospice, Napoleon Bonaparte was hosted during his attempted conquest of the Holy Land in 1799, and that he shot at the muezzin of the nearby mosque who disturbed his sleep. The room he stayed in is closed to visitors. A visit is possible upon arrangement in advance though the offices of the school, against a symbolic fee.